Maintaining an independent daily life is of the key issues for Alzheimer’s disease patients and their families. An individual who can perform the activities of daily living, such as eating, taking a shower, making meals and using the toilet usually does not need round-the-clock assistance. A new study, “Dementia and dependence: Do modifiable risk factors delay disability?” in the medical journal Neurology indicates that modifying some risk factors may help to preserve functional independence among individuals at high risk of dementia. The authors concluded that loss of independence is more likely occur among individuals who smoke, drink and have a low income, regardless of the level of cognitive impairment. Reducing these risk factors may improve functional outcomes and delay institutionalization, according to the authors. When Rina Torres was diagnosed with Alzheimer’s in her 70s, she gradually lost her ability to communicate or recognize family members. Then, she joined a University of Miami Miller School of Medicine study to test if a dietary supplement, aloe polymannose multinutrient complex (APMC), might improve her mental condition. “When my grandmother started the treatment, I was very skeptical,” said her grandson, Lisandro Sierra, a doctor in eastern Cuba who enrolled her in the study. “But then I saw her move from darkness to the light. She became more aware of her surroundings, asked for water when she was thirsty, and went to the bathroom by herself. It was like a touch of magic.” Torres’ dramatic improvement lasted until she passed away in 2012 at the age of 84. Torres was far from the only Alzheimer’s patient to benefit from APMC, made with aloe vera powder containing a minimum of 15% poly acetyl mannose (BiAloe®), according to John E. Lewis, Ph.D., associate professor of psychiatry and behavioral sciences, who led the team of Miller School and Miami Jewish Health Systems researchers. “An architect who had Alzheimer’s for eight years, was barely able to speak, and required total care, took the APMC supplement and within a few months remembered his son’s name and carried on a conversation with his wife. She called me in tears to say that it felt like she got her husband back,” Lewis said. The study of 34 adults with moderate to severe Alzheimer’s disease showed significant improvements in cognitive and immune functioning and stem cell proliferation after consuming 4 teaspoons of APMC per day for a twelve-month period. 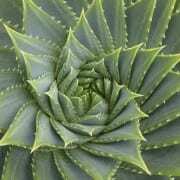 The study, “The Effect of an Aloe Polymannose Multinutrient Complex on Cognitive and Immune Functioning in Alzheimer’s Disease,” was published last year in The Journal of Alzheimer’s Disease. Miller School co-authors were David A. Loewenstein, PhD., Dahlia Abreu, B.S., Janet Konefal, Ph.D., and Judi M. Woolger, M.D. 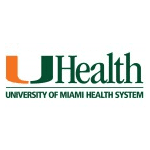 The UM Memory Program is a new and exciting joint collaboration between the University of Miami Miller School of Medicine Department of Neurology and Department of Psychiatry and Behavioral Sciences. The program’s co-directors are Clinton Wright, MD and Elizabeth Crocco, MD. They are joined by Dr. Barry Baumel as the attending physicians at the UM Memory Program. 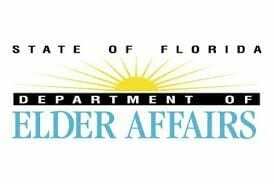 Our program is funded in part by the State of Florida Department of Elder Affairs Alzheimer Disease Initiative. 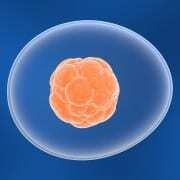 Additionally, our research program is supported in part by the UM Evelyn F. McKnight Institute. Wright is Associate Professor of Neurology and Scientific Director of the Evelyn McKnight Brain Institute. Crocco is Assistant Professor, Department of Psychiatry and Behavioral Sciences and Chief, Division of Geriatric Psychiatry. Baumel is Assistant Professor in the Department of Neurology, and was co-founder of the Baumel-Eisner Institute, a South Florida neurological research center. A new Miller School research study has identified a safe and effective route for delivering stem cells to the brain, where they can potentially repair stroke-damaged tissue. “Our team found that delivering a low dose of mesenchymal stem cells (MSCs) through the carotid artery at 24 hours after stroke resulted in effective therapy for ischemic stroke in an animal model,” said lead author Dileep Yavagal, M.D., associate professor of clinical neurology and neurological surgery, Director of Interventional Neurology, and Co-Director of Endovascular Neurosurgery. It is the first study to identify a safe dose for intra-arterial delivery of MSCs in a rat stroke model and show the dose to be effective. “There continues to be a critical need for novel therapies for stroke,” Yavagal added. “Now that we have a scientific foundation in place, we can begin to design clinical trials to translate these laboratory results into treatment strategies.” MSCs in this study were harvested from bone marrow of healthy animals. The Miller School study, “Efficacy and Dose-Dependent Safety of Intra-Arterial Delivery of Mesenchymal Stem Cells in a Rodent Stroke Model,” was published recently in PLOS ONE, an international research journal. Stroke is one of the nation’s leading causes of death and long-term disability, with an estimated annual cost of $73.3 billion in 2010. Medical researchers have known for more than a decade that MSCs – derived from bone marrow, adipose (fatty) tissue or other sources – can help repair stroke-damaged brain tissue. Miller School coauthors were Ami P. Raval, Ph.D., research assistant professor of neurology; Chuanhui Dong, Ph.D., research assistant professor of neurology; Weizhao Zhao, Ph.D., associate professor of neurology; Tatjana Rundek, M.D., Ph.D., professor of neurology; Ralph L. Sacco, M.D., M.S., professor and Olemberg Chair of Neurology; and Miguel Perez-Pinzon, Ph.D., professor of neurology and Director of the Cerebral Vascular Disease Research Center. Yavagal led the first intra-arterial stem cell trial in the U.S., RECOVER-Stroke. An active member of the Miller School’s Interdisciplinary Stem Cell Institute research team, Yavagal is a peer reviewer for several journals including Stroke, Neurology, Journal for Neurointerventional Surgery and the Journal of Neuroimaging, and has given presentations both nationally and internationally on topics related to neuroscience and neurointervention.